Fake Sara ticks me off. Get real Medseek! I apologize for my strong and passionate reaction to the new Medseek facebook page. In case you missed Phil Baumann’s or Eileen O’Brien’s excellent posts on this matter: Sara Baker is a fake mother created by Medseek to market their new “epatient” IT solution. In her facebook profile fake Sara talks about her life with her fake baby twins, about her fake doctor appointments, the complicated fake paperwork involved …oh and how she fakily goes online to search for health information. I ought to write this post about how ineffective, unethical and dangerous of a marketing technique it is to present fake images of someone pretending to be something they are not. I ought to take a cold analytical approach to yet another strange and twisted mishap of a company clumsily trying to create itself a presence in social media… but not this time. This time, I am ticked off personally, because I consider myself a real facebook mom. My facebook page is my safe harbor where I update family and friends about my baby daughter’s funny first words, share pictures of her covered in purple jam… and yes, speak about her health, at times, when she is sick. Facebook, well at least before the recent privacy scandals, was my personal island. I know the Medseek campaign is not invading this island. I have the choice to ignore fake Sara and her fake problems. However, I cannot help for her to feel like a parody of my life as a mother and empowered health care consumer. Fake Sara supposedly represents epatients. Why? Because she is a mother? When did having kids (fake or real ones) become a disease? If fake Sara is supposed to mirror my real health concerns. Why does she talk about how EASY it is to pay her bills electronically, when in fact my real concern might be how to pay my bills at all? Fake Sara invites me to share my real story on her facebook page with “them”…but I do not know who “they” are? And if I do share a heart breaking story with fake Sara, will she cry fake tears or show me her fake support? I dedicate this blog to what health care companies ought to do to increase their patient-focus. I passionately believe patient-focus starts with getting real. We need to clean the corporate marketing machine of sleezy spam (hat tip to Andrew and John on this expression , we need to listen to real patients’ concerns. We need to introduce real human voices and real emotions into the conversation. Social media poses incredibly difficult challenges to health care companies: How to engage as human beings on a personal level, yet be a large corporation? How to demonstrate true commitment to patients, yet stay within ethical and legal boundaries ? How to be empathic, warm and caring towards patients yet commercially driven? Before I stop my rant, let me point you to Andrew Spong’s intriguing poll and ask you to please vote. Also, please share your thoughts and comments on this post with me: How you feel about fake Sara? Do you think I am over reacting? Am I missing an important angle? Dear Medseek, it is already so difficult to be real in a credible and trustworthy way in social media, please, don’t even try to fake it! I would like to herewith warmly invite you to join us at one of our weekly hcsmeu tweetups to explain your views and discuss your motivations with us. 49 Comments on "Fake Sara ticks me off. Get real Medseek!" I know there’s some division among some people over their feelings about this kind of practice. Depending on your own values and experiences, you could either take a strong position against it or believe it’s not a big deal. Rather than dwelling too much on the ethics, I view this in terms of Opportunity Cost: rather than building the skills and talents needed for long-term conversational presences on the web, this approach forgoes that and probably short-cuts itself in terms of the future value of solid online communication capacities. The fact is this: some companies will do well online, while others will simply make things harder than they need to be. As I said in my post: companies can make their own decisions and cop out, while their competitors can make better ones. Their choice, not mine. I think we’ll just have to focus on success stories and strategies, and let mediocrity speak for itself. I appreciate your passion on this topic and thanks for the link back to my post. Like Phil, I figure that success will come to those who do it right. I think this is just bad marketing, especially in a medium that values honesty. I have always found patient photos, stories and videos to be incredibly engaging. As I wrote previously, trust is usually more powerful than fiction so why fake it? I’m keenly following Andrew’s poll results and find it very interesting that more than half the people disagree with us and are fine with this approach. I’m also really curious about the model in this photo and how her image is now associated with this issue. I wish she would come forward and tell her us story! I have to say I too wrinkled my nose at the ‘it’s so easy to pay!’ message being hammered out on the SB page, predicated as it is upon the ability to be able to pay in the first place. It’s excluding and, frankly, callous. Phil’s laissez-faire ‘give ‘em enough rope’ position is probably the best one to adopt in terms of managing one’s blood pressure. The social web is a Darwinian environment; those companies that evolved (I’m tempted to say #failbetter, of course ) will thrive within it, those that don’t will perish (i.e. be ignored) online, to the detriment of their business. As Eileen muses, to adopt a disposition (being fake – can one even *be* fake?) that is antithetical to the core values of the social web (being real) is a strange place to start. Truth is indeed more powerful than fiction, and this would have been a lot more compelling if Medseek has endeavoured to create a space where a legion of happy patient-people-consumers could convene to share good (or indeed bad) news stories about the company in their own, real voices. Indeed, If a company is rightly informed about what social media are and what it means to real patients, maybe they acknowledge how to use real patients stories in supporting them. The question then is, how to hand over the expertise to them? Information is key here. One is not capable of knowing what is wrong when one has not got the information. One cannot know what one hasn’t learned! I presume we do have a mission here. Critic is one, indeed and rightly so. But how to demonstrate what’s better. May be a patient driven review of sites would do? Let’s work on that too! Like Eileen, I was surprised to see that more than half of the votes on Andrew’s poll were positive for eSaraBaker. I believe faking it like this just seems like poor form. In healthcare marketing I believe EVERYTHING should be credible and transparent, which through engagement leads to trust. There are simply too many dodgy (and potentially dangerous) healthcare claims out there on the web already. Wrapping your healthcare product or service in fakery just isn’t healthy for anyone. As Phil mentions in his post, ultimately we need to focus on examples of good practice: cream always rises to the top. Thank you all for your great and insightful commentary. I feel fortunate to be connected to so many *real* experts , who in addition manage to analyze this campaign from a much more objective stance. That is the issue with my being so passionate, sometimes my feelings just take over. I have to admit, I am still reflecting why exactly fake Sara pushes my buttons to this extent. A major part is probably the fact that in the past weeks, I have facilitated discussions and workshops between pharma and patient bloggers. I discovered how incredibly valuable this discussion is, how eye-opening on both sides it was and how much it needed to happen. Yet, I also saw the immense canyon between these two parties. The realationship is a fragile endeavor. Any seemingly insignificant, unintentional or unlucky word, body language or behavior can destroy the inkling of trust that just started to emerge between these two worlds. I am a great proponent of “the cream rising to the top”, of letting people fail to learn for themselves. Yet what if this comes to the expense of patients getting even more alienated from an industry that is supposed to ensure their well being? What if this runs the risk of losing the opportunity to ever recuperate this trust? After reading your post and following-up with the other excellent posts and comments around the blogosphere, and after exploring MedSeek’s website, my second thought turns to ‘astroturf.’ That’s what this reminds me of. Some people may be taken in by it and others will not. What bugs me in reading MedSeek’s many pages dedicated to engaging patients is that MedSeek doesn’t understand the the ‘e’ in ePatients. They are misappropriating the term which doesn’t really mean ‘electronic’ patients. And electronic is far from being empowered, educated, etc. And who is MedSeek marketing to? Are they trying to create demand from consumers for their doctors to set up a ‘patient revenue portal’? Seriously, why would I spend my energy doing that? Why the need for ‘fake testimonial’? Could they not find any real customers who are pleased with having access to their service? Just seems dumb and sloppy. As a patient who is very much active online and discussing all aspects of my health with other patients AND with reps from the pharma marketing arena, I find fake Sara to be a minor distraction. Other companies are using online platforms to provide real service, and shared experiences of patients, using real patients. Just look at HowIFightMS.com or NewWayRA.com. I wouldn’t have paid much attention to NewWayRA except that my friend and colleague, Sara Nash, was included on the panel of the ’2nd season’ of this ‘online talk show.’ She is a real person, a prominent blogger, and fellow writer at MyRACentral.com. She also has both a profile and a ‘page’ for her blog on Facebook. As Silja said, the trust patients have with pharma is tentative at best. Seems ‘pharma’ is afraid of talking with real patients and patients despise the sleazy, unrealistic ads and spam which is broadcast in their direction. Somehow there must be some middle ground within that huge canyon. I also agree that bad marketing attempts will fade away and good ones will rise to the top. It is better to focus on creating the better initiative which will benefit both sides of that canyon. I just wonder how long anybody at MedSeek will continue with describing fake transactions through fake Sara before they get bored with the lack of interaction or return on time invested. I don’t see that this initiative speaks to either side of their customer base. It’s a dud. Absolutely! I didn’t mean to imply that MedSeek was a pharma company. They appear to be selling a service to healthcare organizations and providers. Patients are so far removed from this that it seems a silly approach for an advertising campaign. My discussion of pharma relates more to subjects which Silja and I have discussed previously. I’ll give MEDSEEK credit, they’ve struck a nerve and created a lot of interest in their Facebook fan page, which is a challenge for marketers. The approach of chronicling a fake patient’s healthcare interactions – although unorthodox – is at least more compelling than simply posting a stream of benefits (e.g. MEDSEEK enables healthcare clinics to quickly treat patients without the hassles of registration paperwork). On the other hand, I could do without some of the posts, such as, “Alex is recovering nicely from his ear infection…”, since I know I’m not following real patients and I could do without the fake personal interjections. IMHO, MEDSEEK should do more to encourage sharing of real patient stories. That would make for more compelling reading and an opportunity for the company to show its target audience – providers – that there are actual patients who could benefit from the services that MEDSEEK provides. The goal of marketing isn’t to get attention. The goal of marketing is to get things done. That company may have gotten the attention of a few tweeters and bloggers in the proverbial echo chamber, but that’s not much of an accomplishment. There’s no “right” or “wrong” answer as far as what they did. But the bottom line is: Communications need to be clear. In this case, I have no idea what they’re trying to do. Imo, I think they just tried to hard. Pulling off a composite character in marketing is a very difficult thing to do and requires a lot of talent and the daily resources to execute that talent. Isn’t it the goal of everybody in the company to get things done? The marketing function exists to generate awareness of, and interest in, an organization’s products, services or mission. And that’s a rapidly evolving challenge in this new era of social media. So I don’t think it’s fair to dismiss getting the attention of ‘a few tweeters and bloggers’ as inconsequential since that was likely one of the goals of their program and it allows for the conversation to grow. E.g. I just learned about the fan page today via a popular blog unrelated to those mentioned above. Of course, no argument there. But marketers too often are satisfied with “hey, we got everybody’s attention!” and then fail to take the next steps effectively. But: what is this company getting done? In other words, are they getting the right kind of attention at the right time from the right people? I don’t know and can’t speculate. Hopefully, for them, they know. I’m not an investor in this company, so I really don’t care quite frankly, except that healthcare communications must be above board, otherwise someone’s likely to get hurt. Love the discussion. Thank you for all your comments. @lisaemrich You raise a great point with who are they marketing to. I asked myself the same question. From the looks of the profile, they are marketing to ME! A working mommy in her 30′s, Caucasian and in charge of raising toddlers. Yet, I do not see, what I am supposed to to with the information they are giving me. It is not actionable for me. So to Jim’s point, they raised my attention alright, but now what? I am suppose to go to my hospital and DEMAND the implementation of a epatient revenue center of which I want to “become the CEO” (that’s their marketing speech here)? Not happening. Dear @emedseek, what are you trying to achieve here? You are CONFUSING me. Please, check out another GREAT post and discussion about fake Sara here Thought it was amazing how the same two examples of best sites came up from @lisaemrich and @rawarrior! Guess you all are right: cream always floats to the top – phew, I am sooo glad! Je suis jeune de trente-seρt berges , et j’assume totalement . Mon occupation principale, chef de projet … Il est dit que je parais souriante. J’ai repris mes études pour devenir technicienne d’analyses biomédicales … Est-ce un défaut que d’être délicate ? Je suis une fille de trente printemps , je ne fait pas de complexe là dessus ! Je galère comme assistante juridique . il semble que je suis délicate. Je suis une jeune femme de quarante et un piges , et j’assume totalement ! Mes parents m’ont appellée Élise et j’aime beaucoup ce prénom. Je bosse comme monteuse image et son … Est-ce un défaut que d’être un drole d’oiseau ? Je viens de fêter mon 22ième anniversaire. tant pis si on ne le dit pas . Ce que je fais dans la vie: infirmière . Il est dit souvent que je semble revêche. Excellent post. I was checking continuously this blog and I’m impressed! Extremely helpful info particularly the last part I care for such info much. I was looking for this particular information for a very long time. Thank you and best of luck. Mes parents m’ont appellée Bгіе et j’aime beaucoup ce prénom. Usually I do not read post on blogs, however I would like to say that this write-up very forced me to try and do so! Your writing taste has been amazed me. Thanks, quite nice article. Please let me know if you’re looking for a writer for your site. You have some really good articles and I believe I would be a good asset. If you ever want to take some of the load off, I’d really like to write some material for your blog in exchange for a link back to mine. Please blast me an e-mail if interested. Thank you! eux-mêmes . L’expérience réelle fournie aux utilisateurs qui rend ces jeux encore plus populaire . vous savez peut-être les jeux auxquels vous aimez déjà, mais peut-être audience manqué sur quelques nouveaux qui seraient encore mieux . t must hunt down the entire market to find very good matching fashion accessories on your clothing. I wonder how much effort you set to make such a wonderful informative website. examination planning. Ontario Registered Association Member. will assist preserve your design searching clean. Both men and women looking for a haircut in Thousand Oaks California may not experience unwelcome . sources you will get, reliability, uptime, and also play. of the property is restricted due to the designation. using the newest gossip posted here. 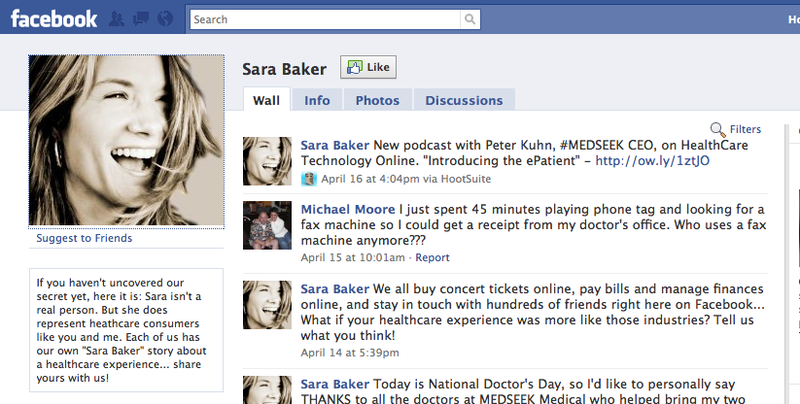 ICMCC News Page » Fake Sara ticks me off. Get real Medseek!